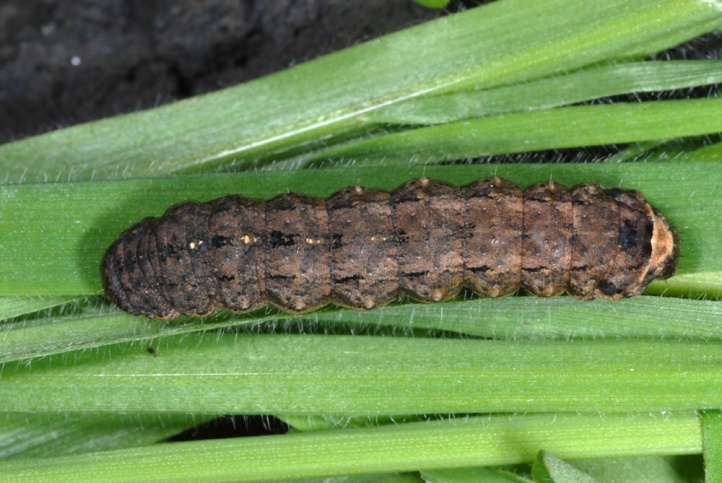 The caterpillar lives polyphagous on herbs and probably also grasses. 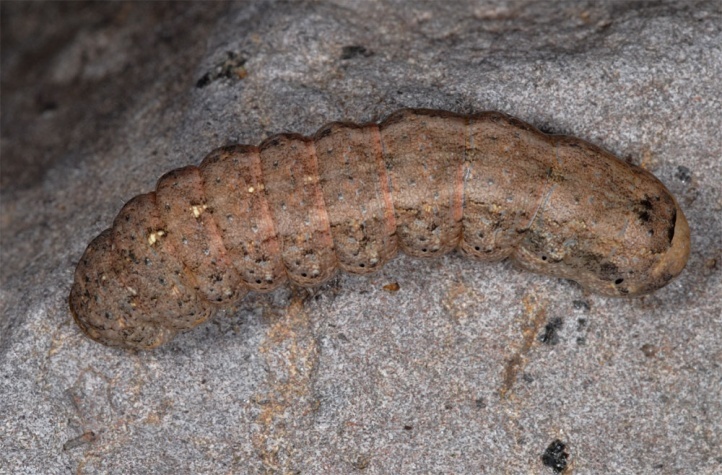 I found them in La Gomera on Rumex sp. 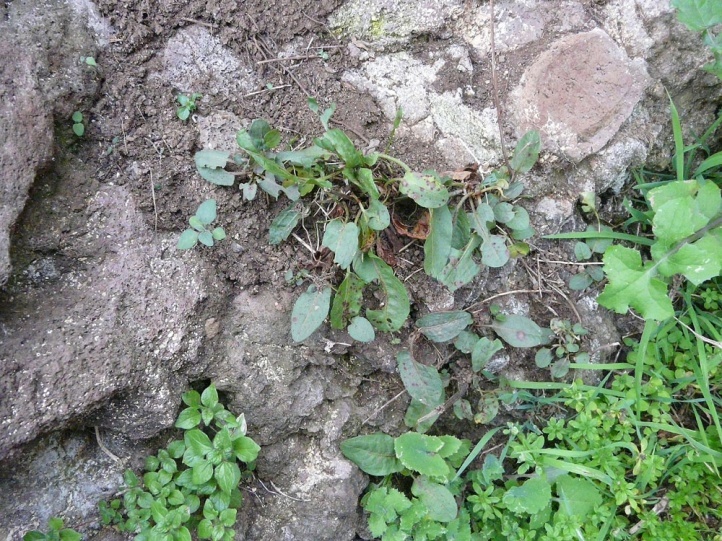 and Solanum sp. 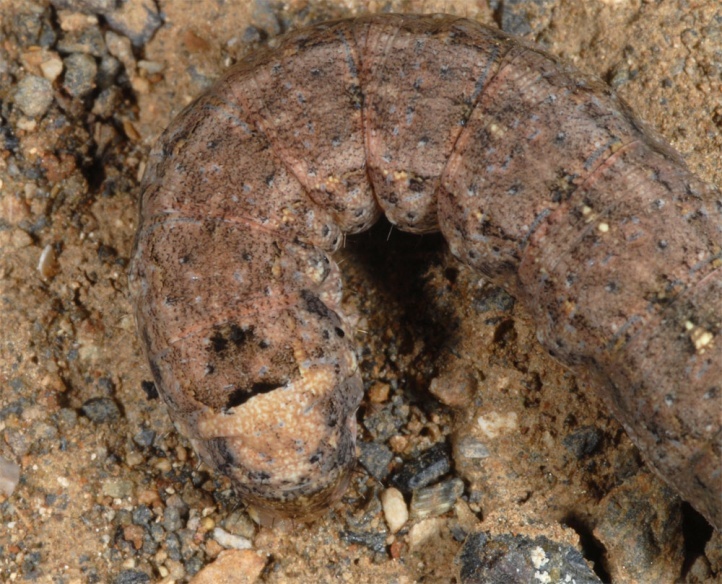 Peridroma saucia often inhabits dry warm landscapes such as extensive agricultural areas, garigues, ruderal terrain and other places with open soil spots. 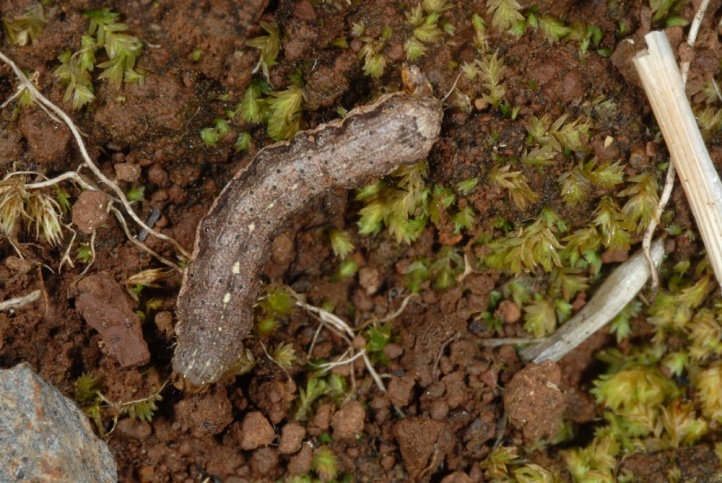 But Peridroma saucia can also occur in moist habitats as many own larval observations show (Madeira, Saint Miguel/Azores). 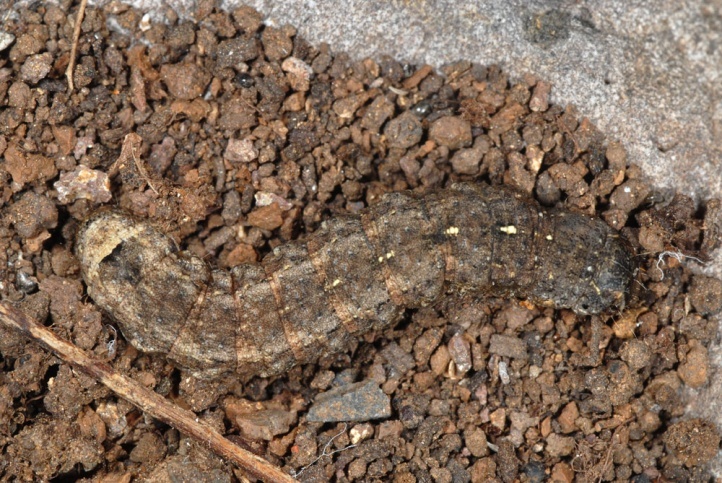 Peridroma saucia is found throughout the year in tropical and subtropical areas. 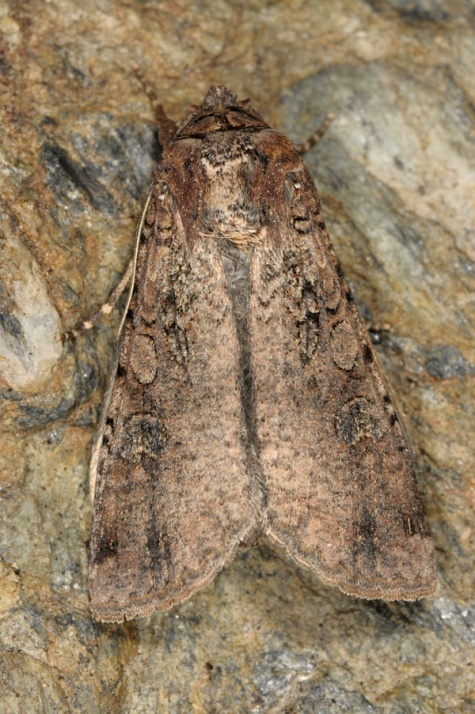 In southern Europe it is mainly found from spring to autumn. 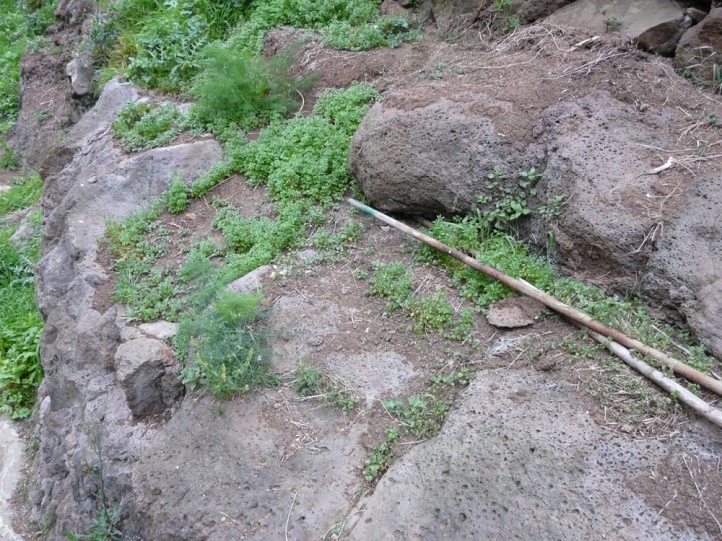 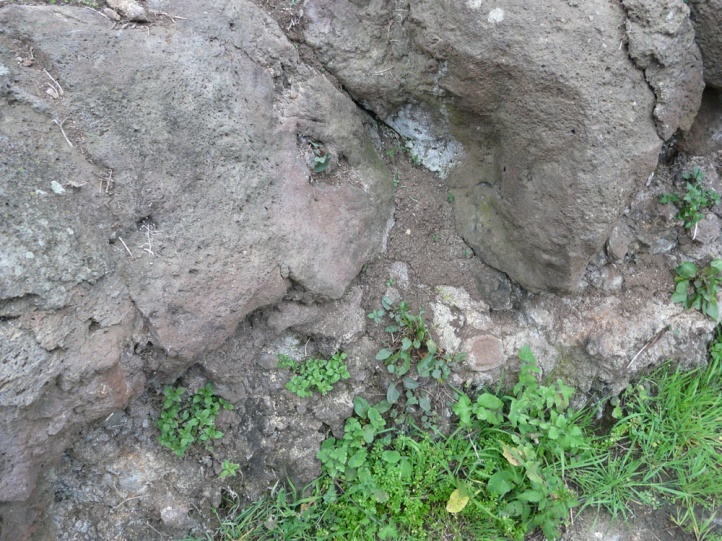 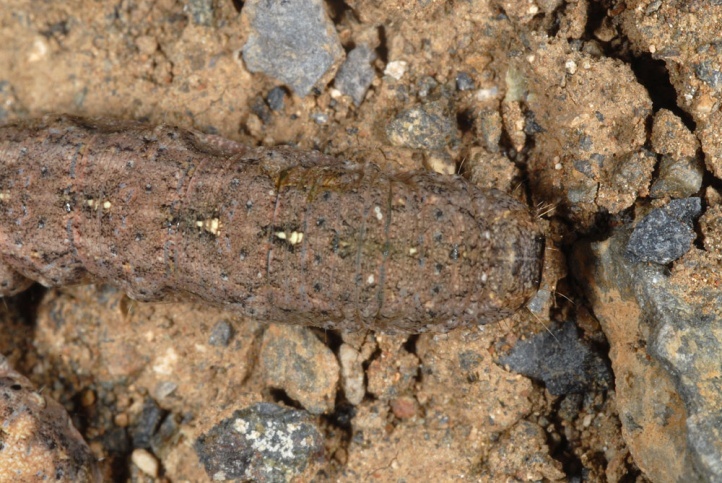 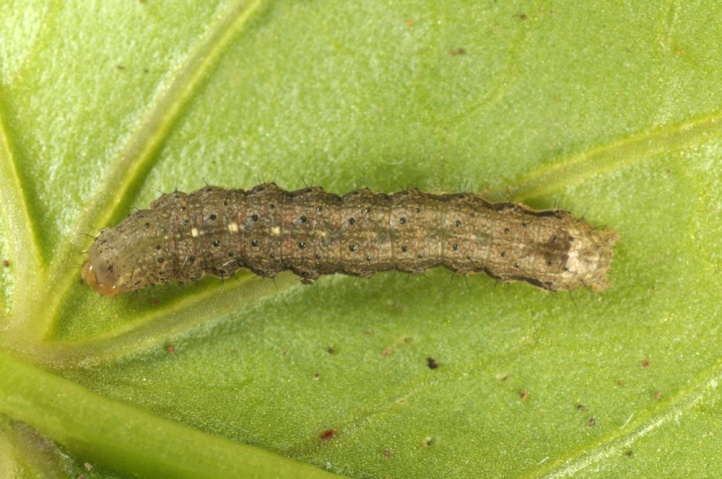 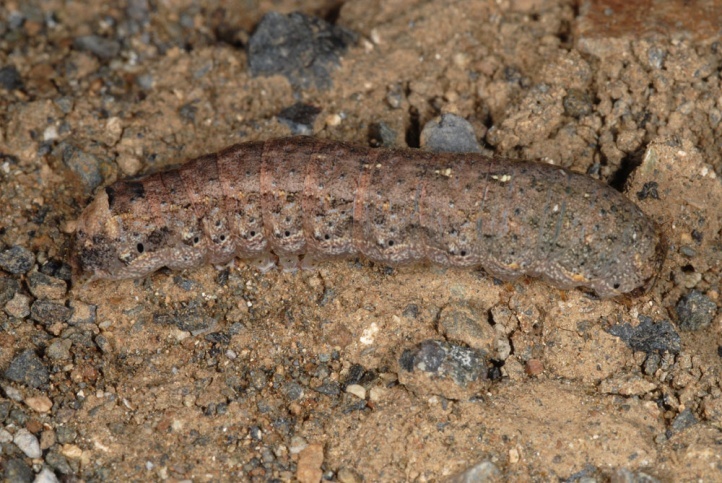 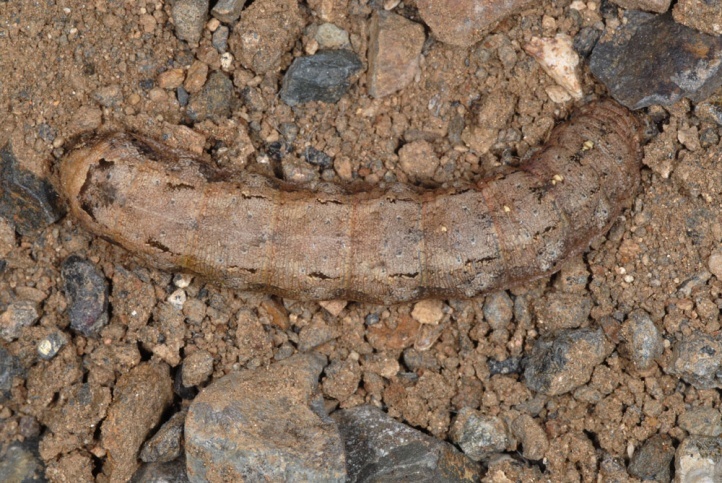 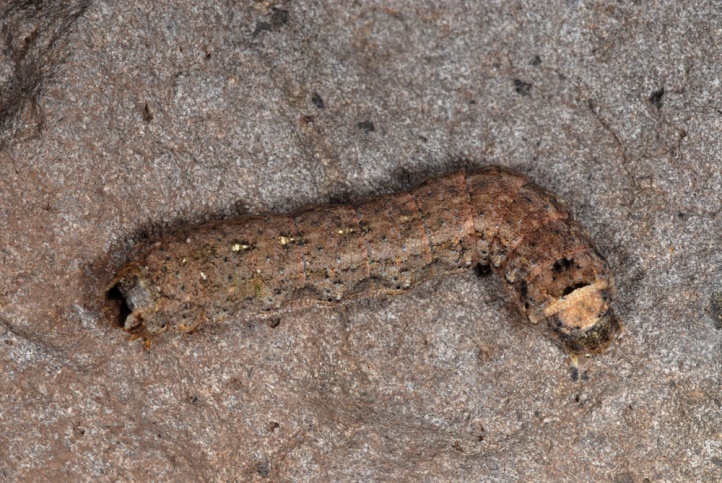 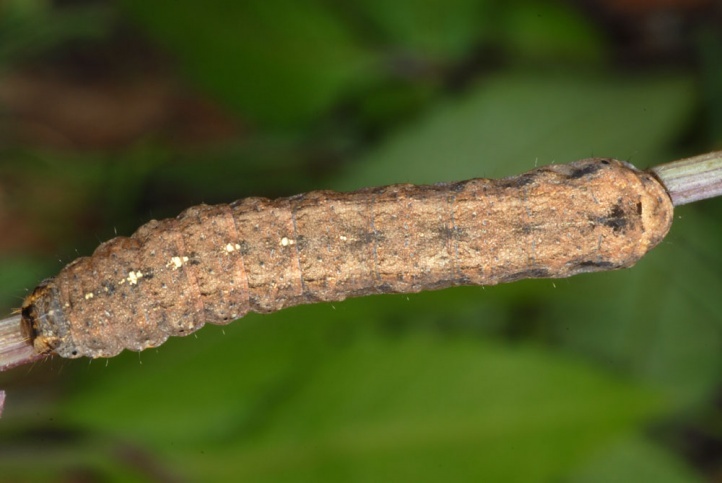 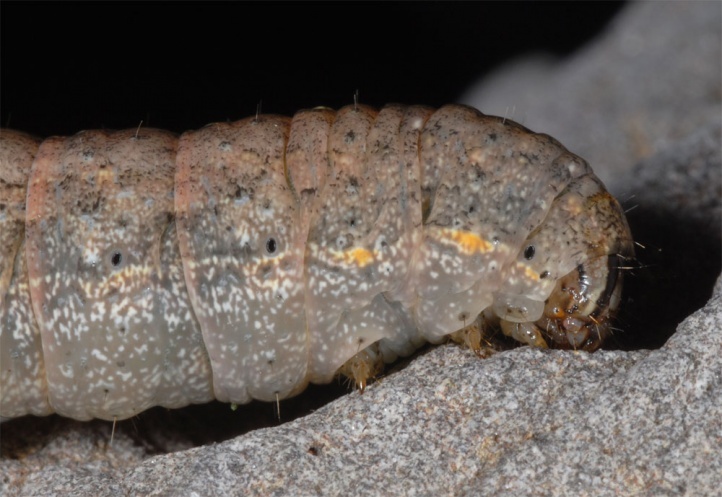 In La Gomera, I found several caterpillars in ruderal terrain on the basis of feeding scars in December 2011. 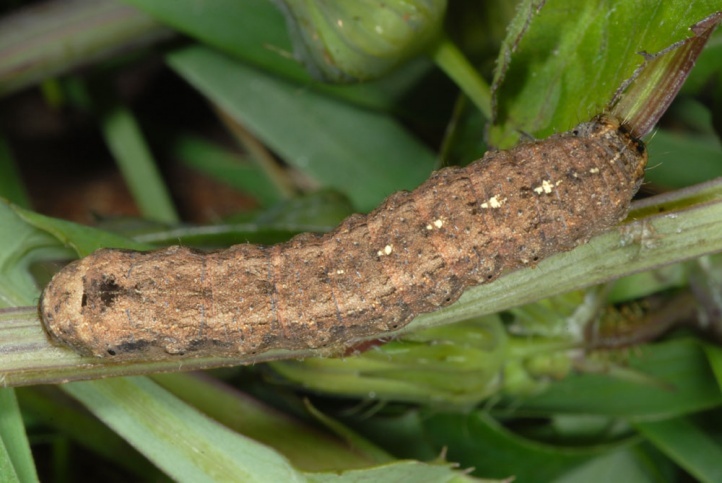 The caterpillars were buried superficially in dry, loose soil during the day, most often right at the base of the host plant. 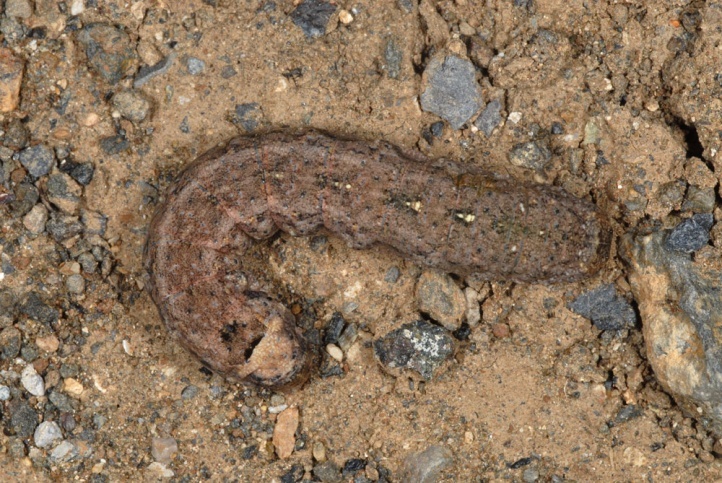 Allegedly they fed only at night. 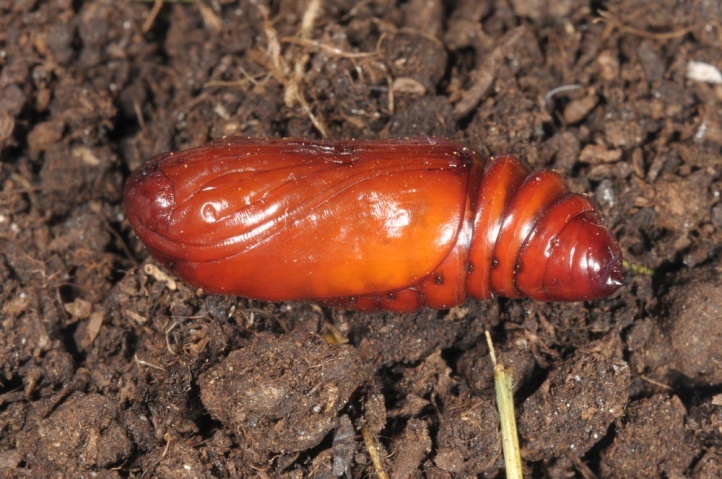 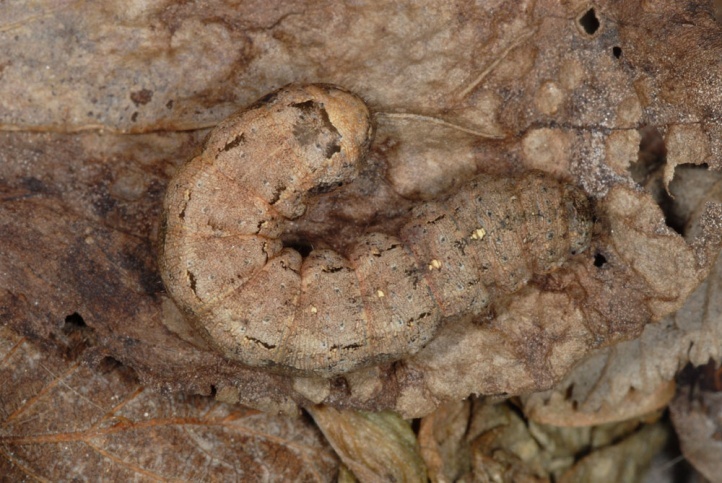 Pupation takes place in a cocoon in the soil. 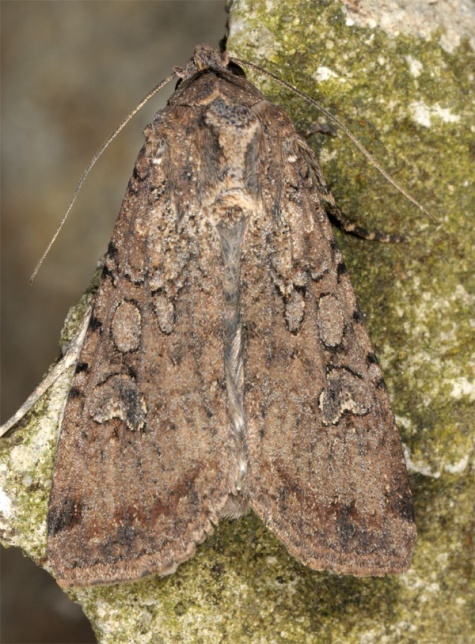 Peridroma saucia occurs in the warmer parts of America, the southern part of the Palearctic and southeast Asia. 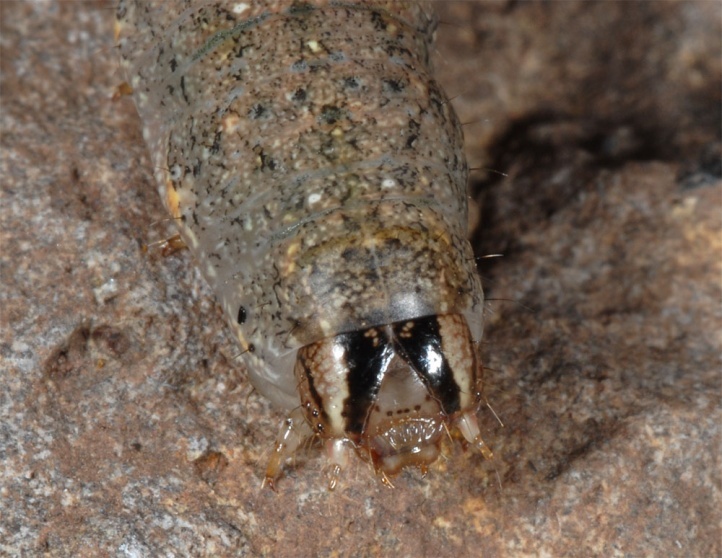 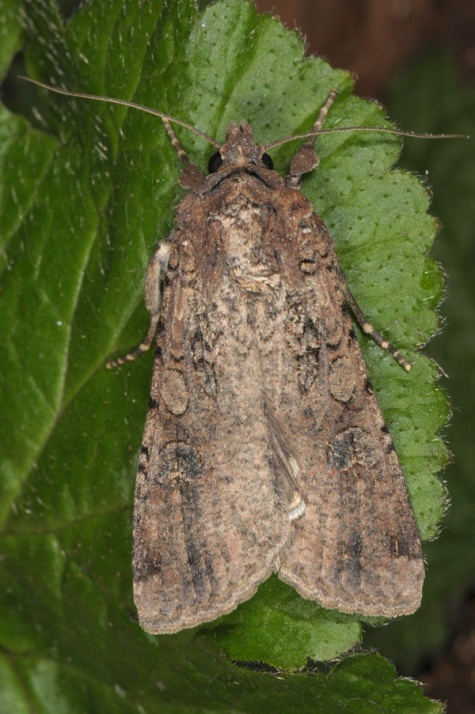 In Central and Northern Europe Peridroma saucia is found usually only as a migrant or by passive transport, but is likely to survive mild winters in southwestern Germany due to global warming. 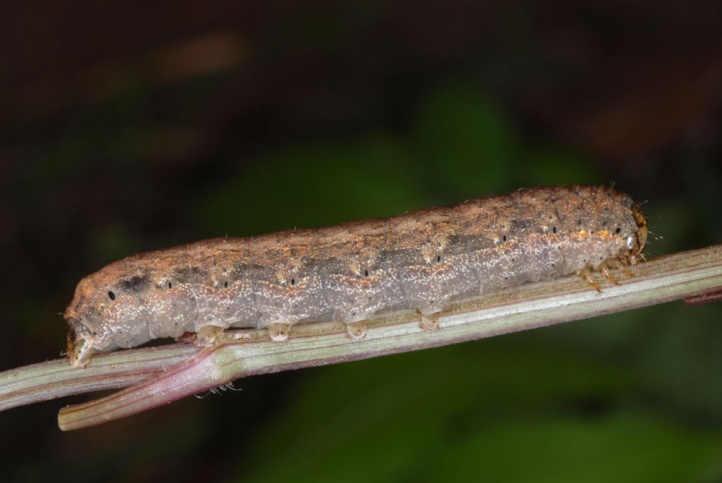 Peridroma saucia is said to be harmful in agriculture, but nowadays that can probably only rarely be the case locally, since the caterpillars usually occur not in high densities.